I love the scents for the holidays, and Demeter has created the perfect scents to add some holiday cheer! 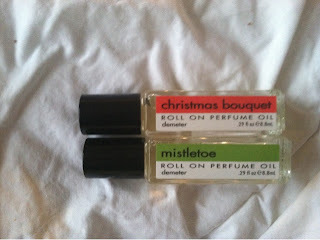 We love these smaller roll on scents. Perfect for holiday cheer on the go! Christmas Bouquet is a light scent that mixes familiar scents of both pine and a sweetness (berry, maybe)? My personal favorite is Sugared Plums. The scent is sweet, and keeps me cheerful all day long. Hot Toddy is a warm, soothing scent . . . think a warm drink on a cold winter's night. 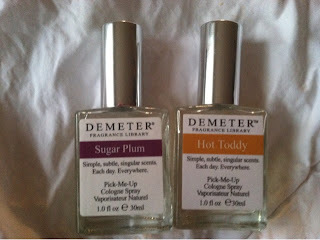 I received Demeter scents to try out for this blog review here on MamaBreak. I did not receive any other sort of compensation. As always, my opinions and experience are my own.